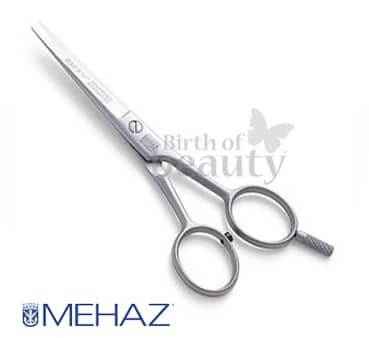 Tempered Stainless Steel; One blade is Micro-Serrated and one blade is beveled; The mircoserrated blade holds the hair in place while cutting. Polished blades with a smooth satin finish. Adjustable Tension Screw; Removable Fingerrest; Made in Germany.